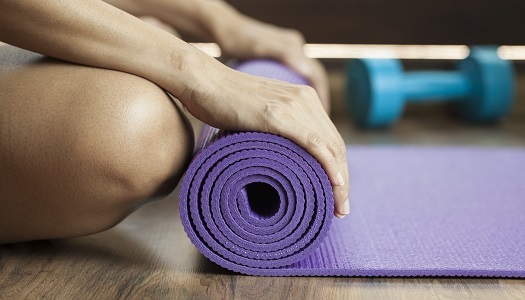 A recent study has found that weekly yoga sessions may be as effective as traditional stretching and resistance training exercises (SRTE) for people with Parkinson Disease (PD) and the treatment could reduce anxiety and depression symptoms. Investigators found that mindfulness yoga proved to be as effective as SRTE in improving motor dysfunction and mobility in patients with mild-to-moderate PD. Additionally, patients may experience an increase in spiritual well-being and HRQOL with a reduction of anxiety and depressive symptoms. Study investigators enrolled patients with idiopathic PD from Dec. 1, 2016 to May 30, 2017 at through 2 regional neurology outpatients clinics and 4 centers of the Hong Kong Society of Rehabilitation, Hong Kong Parkinson’s Disease Association. Eligibility criteria included being 18 years of age or older, participants needed a clinical diagnosis of idiopathic PD with a severity rating of stage 1 on the Hoehn and Yahr scale 3, and must have been able to stand unaided and walk with or without an assistive device. Participants were excluded if they were receiving pharmacologic or surgical treatment for psychiatric disorders. Investigators assessed 187 patients for eligibility and 49 were excluded. Of the 138 included in the study, the mean age was 63.7 and they had a mean Movement Disorders Society Unified Parkinson’s Disease Rating Scale score of 33.3. Outcome measures were recorded at baseline (T0), 8 weeks (T1), and 20 weeks. The primary outcome was psychological distress in terms of anxiety and depressive symptoms, which investigators measured using the Hospital Anxiety and Depression Scale (HADS). HADS is a self-report questionnaire that consists of depression and anxiety subscales. The study had 4 secondary outcomes including the severity of symptoms, measured by the Movement Disorders Society Unified Parkinson’s Disease Rating Scale (MDS-UPDRS). Other secondary outcomes were mobility as measured by the Timed Up and Go Test, spiritual well-being as measured by the Holistic Well-being Scale, and HRQOL as measured by the disease-specific 8-item Parkinson’s Disease Questionnaire. In the mindfulness yoga group, patients demonstrated significantly better improvement in anxiety and depressive symptoms. There was no significant improvement noted in anxiety and depressive symptoms in the SRTE group. The mindfulness yoga group showed significant improvement in MDS-UPDRS motor scores, spiritual well-being, and perceived equanimity. They also saw significant improvements in disease-specific HRQOL. Both groups showed reduction in motor symptoms. Authors noted multiple limitations within their study. Expectation bias may have existed because participants were aware of their treatment allocation. Additionally, investigators purposely excluded patients with severe PD and the study had attrition rates of 15.2% at T1 and 18.8% at T2. Investigators concluded that mindfulness yoga can be an effective treatment option for patients with PD to manage both stress and symptoms. When compared with SRTE, patients participating in yoga saw greater improvements in psychospiritual and HRQOL outcomes while having similar benefits on physical outcomes. “Considering that PD is not only a physically limiting condition but also a psychologically distressing life event, health care professionals should adopt a holistic approach in PD rehabilitation,” study authors noted. This study, titled “Effects of Mindfulness Yoga vs Stretching and Resistance Training Exercises on Anxiety and Depression for People With Parkinson Disease,” was published in the Journal of the American Medical Association.